Harriet Jacobs, born in 1813 near Edenton, NC, was daughter of Delilah, the slave of Margaret Horniblow, and Daniel Jacobs, the slave of Andrew Knox. Her story begins after her mother’s death when she was only six years of age and soon realized that she was a slave. Margaret Horniblow became her owner and taught Jacobs how to read, write and sew; by the time she reached the age of twelve, Margaret Horniblow had died and willed Jacobs to her niece. Horniblow’s niece was only three old years at the time, this allowed for her father, Mr. Norcom to become Jacob’s master by default. Mr. Norcom often made sexual advances towards Jacobs and made her fear that she would be raped. Knowing that this day was quickly approaching once turning 15, Jacobs decided to choose her fate. Jacobs caught the eye of Mr. Norcom’s neighbor Samuel Tredwell Sawyer, a white attorney who was interested in befriending Jacobs. Jacobs soon gave birth to two children fathered by Mr. Sawyer, daughter Louisa and son, Joseph. Believing that she made herself undesirable to Mr. Norcom, Jacobs was at peace with her decision. Mr. Norcom was enraged by this, he sent her to work hard labor on his plantation while threatening to do the same for her children. Jacobs was just entering her twenties and was about to make the second biggest decision of her life. Jacobs ran away, driving Mr. Norcom into a panic. He sent out many posters demanding the return of his run away. Jacobs was not running, but hidden away in her grandmother’s tiny attic for seven year. The attic was so small that standing and sitting was impossible. Jacobs filled her time with reading and sewing and watching her children play through a tiny hole in the wall. Her grandmother would sneak her food, but being cramped like that for seven years she became physically disabled. One day Jacobs got word that her hiding spot was in danger of being found and she fled to the north. After a few years, Jacobs found her daughter who had been sold by her father (Mr. Sawyer) in Brooklyn, N.Y. Jacobs and her daughter would live in New York for a while, but Jacobs found out that Mr. Norcom had come to New York searching for her. From 1862 to 1866 Jacobs made a commitment to helping refugee slaves in and around Washington, D.C., These slaves had become refugees of the war. 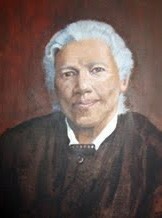 With her daughter, Jacobs founded a school in Alexandria, Virginia, which opened from 1863 to 1865, both mother and daughter then returned south to Savannah, Georgia to engage in further relief work among the freedmen and freedwomen. The spring of 1867 found Jacobs back in Edenton, actively promoting the welfare of the ex-slaves and reflecting in her correspondence on “those I loved” and “their unfaltering love and devotion toward myself and [my] children.” This sense of dedication and solidarity with those who had been enslaved kept Jacobs at work in the South until racist violence caused her and Louisa back to the Cambridge, Massachusetts, where in 1870 she opened a boarding house. By the mid-1880s Jacobs had settled with Louisa in Washington, D.C.
Little is known about the last decade of her life. Harriet Jacobs died in Washington, D.C. on March 7, 1897.